Hi there! 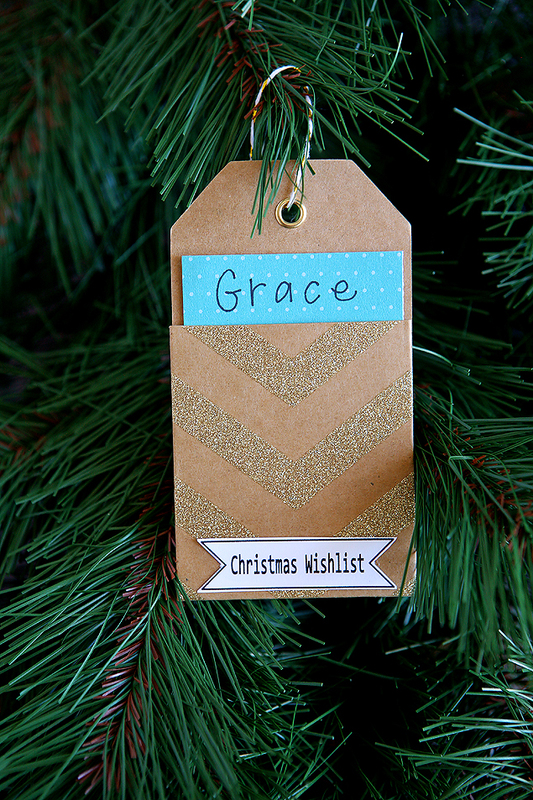 It’s Jen and Jodie from Eighteen25 and we’re back again to show you how to whip up some perfect little Christmas Wish List ornaments. 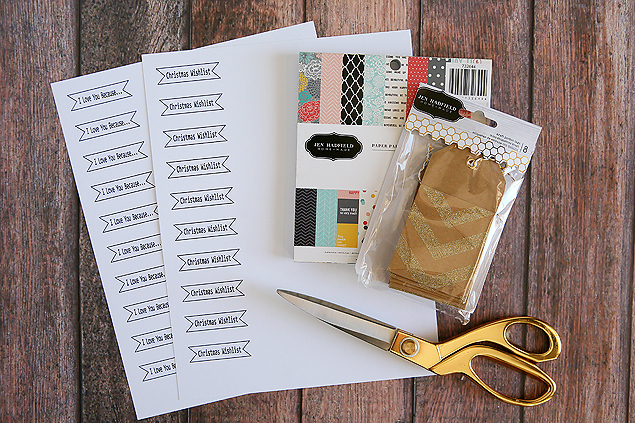 You know we are crazy for Jen’s Home+Made line and we knew we had to come up with something using these Kraft Pocket Tags. 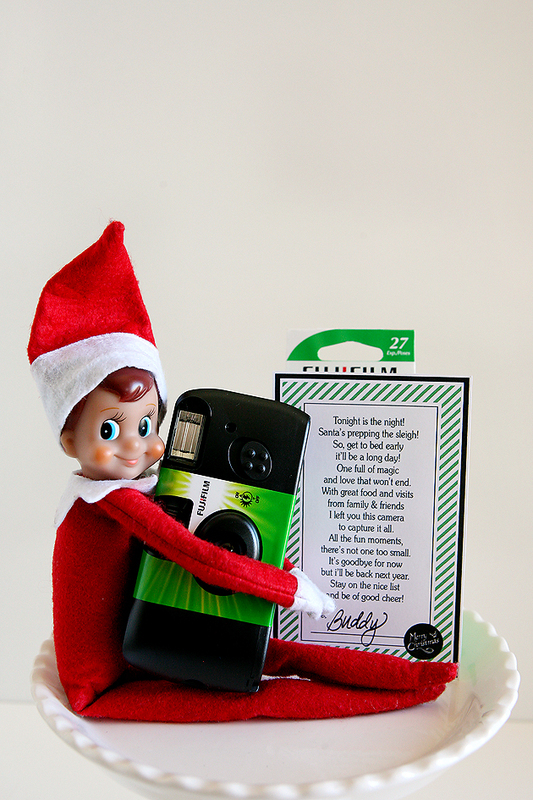 We love to see what the kids have asked Santa for in years past so we thought this was a fun way to preserve those. 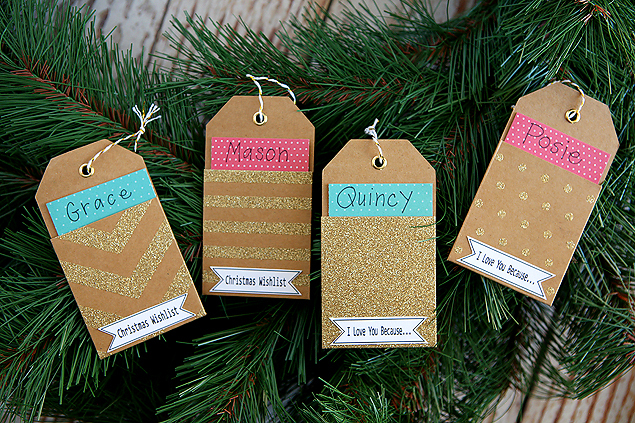 We also thought it would be fun to make some tags for those that don’t do Christmas lists. 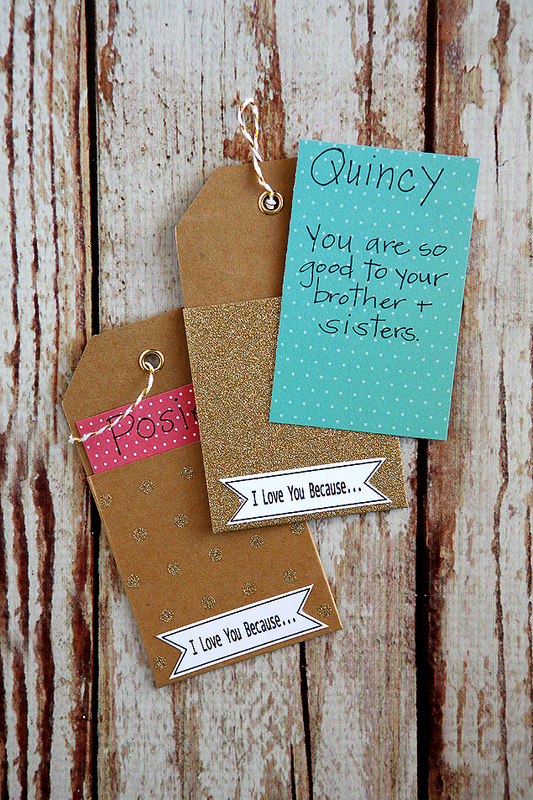 The I Love You Because….tags could be used for spreading a little love throughout the whole family. 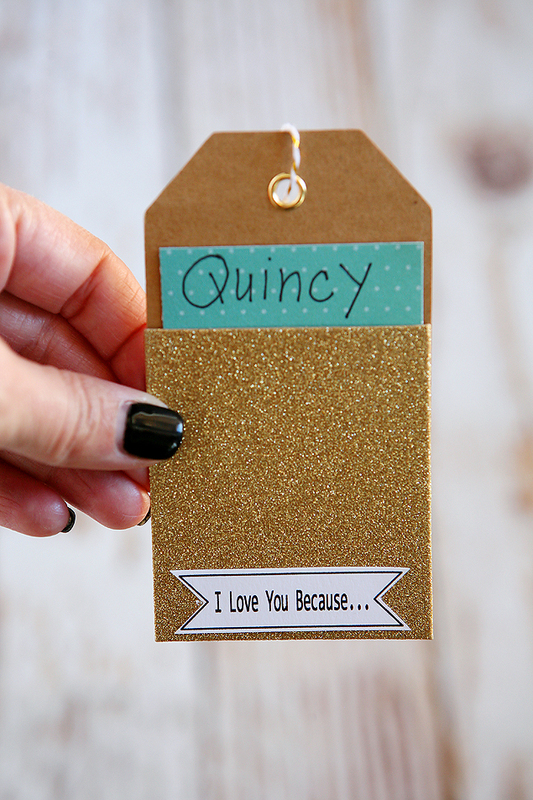 Everyone can write down and share a few reasons why they love one another. 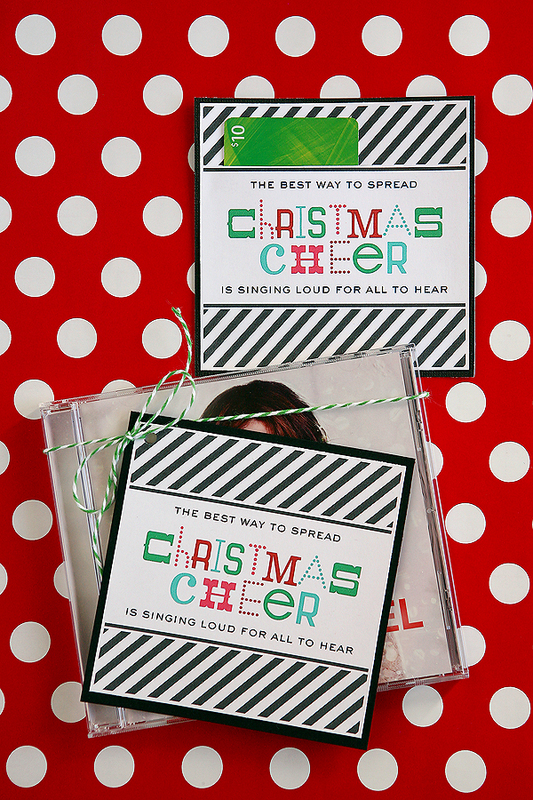 You can also follow along with us on Facebook, Instagram and Pinterest!! Those are so cute. 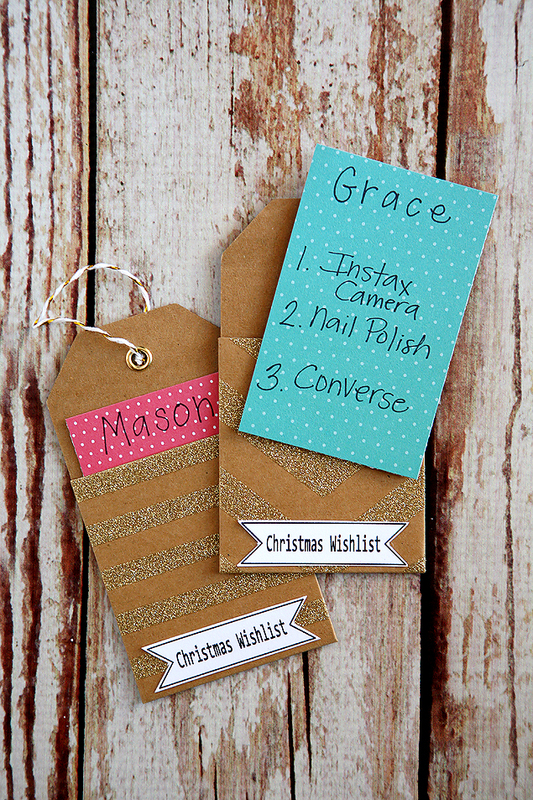 My kids will love making them!! Thanks for sharing them! !